FRASER MARINE sell top brands of new boats including Quintrex boats as well as good quality used boats. They sell Outboard brands such as Suzuki / Evinrude, Etec and Tohatsu. Looking for power equipment – They also stock an extensive range of Stihl power equipment. Fraser Marine will service your marine motors, trailers and boats in our workshop with fully qualified mechanics. These gourmet products, including the amazing Hot Chilli Wine, are produced using locally grown, hand picked organic chillies. Available in the Eden Visitor Centre Gift Shop. Also see the website for tasty recipes. Eden now has its very own Discount Pharmacy. Support Eden’s first community discount pharmacy for all your pharmaceutical needs. You will get friendly service with great prices. Located in the centre of the shopping area at 2 / 136-138 Imlay Street EDEN Phone 6496 3336 or Fax 8322 4088. Round the clock Taxi service. Coles loves everything about quality Australian food. Our mission is to provide quality food that costs less. We want to help you & your family enjoy mealtimes. Located in Eden’s Imlay street, with the huge car park. Come in to find a large variety of delicious foods and be served by the lovely local service. Eden Realty offers a large selection of quality homes and units for sale or to suit your rental or holiday needs. With over 30 years experience in the industry here in Eden they are more than ready to help with buying, renting or managing your property. They also offer professional service for all your real estate purchasing, selling and rental needs. Fraser Marine is Australia’s only combined Quintrex and Brooker alloy boat dealer. They are dealers for Outboards brands such as Suzuki / Evinrude Etec and Tohatsu Outboards. They have an extensive range of boating and fishing accessories as well as Hummingbird and Furuno Electronics and Minn-Kota electric motors. An extensive mechanical workshop servicing all makes and models including Volvo Penta and Mercruiser Sterndrives will service all your boat and motor needs. Fraser Marine also carries a full range of STIHL power equipment. Call in to see just what they have on offer or contact them direct. The Eden Fishermen’s Recreation Club offers regular raffles, bingo, trivia nights, Pokies, Club Keno, Sky and Fox Sports and regular entertainment. Enjoy the new Coast Family Buffet. The Far South Coast’s new and affordable family dining with a spectacular view over Eden’s Twofold Bay and surrounding mountain ranges. Open for dinner 7 days a week and Sunday Lunches. Enjoy a wide assortment of international cuisine including Asian, pasta, seafood and traditional roasts with fresh salads, desserts, tea and coffee. Lunches are order off the menu and feature all the pub/club style classics including fish and chips, parmas etc. Courtesy Bus available in the evenings. Ring the club on 6496 1577 for times and bookings. The Club also has facilities at the Eden Gardens Country Club offering members and guests Golf and lawn bowls for both competition and social games. There is an Asian Restaurant, Chilipadi opened for Lunch and Dinner Tuesday to Sundays on site. Drop in and talk to Adam and Grant who will gladly show you around. 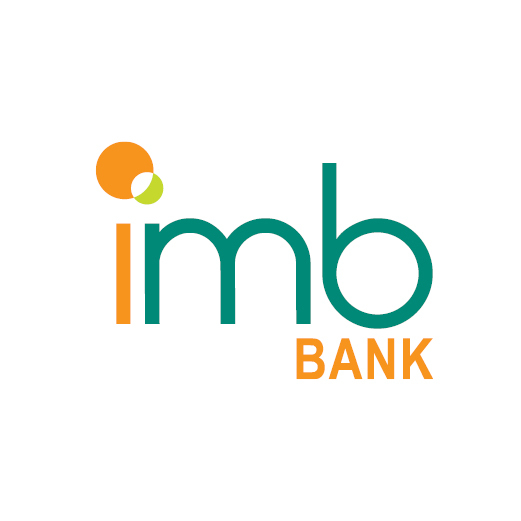 IMB has a growing branch network throughout the Illawarra, Sydney, NSW South Coast, the ACT and Melbourne. We have a lending specialist in every branch and a team of mobile lending specialists who will come to you. Simply Irresistible offers a large selection of ladies wear and accessories. Whether professional, holiday or casual dress is required, Toni has it all! Supply Central has you covered! They carry horse gear – rugs, bridles, halters, lead ropes, helmets, gloves, boots, health & nutrition, grooming. Stock feed & seed for horses, cattle, sheep, alpaca, goats, rabbits, chooks, ducks, parrots, wild birds, budgies and more. Offering picture framing, metal wall plaques, ceiling fans, down lights & outside lighting. Pet supplies – dog beds, shampoo, flea control, collars & leads, dog coats, harnesses, dog & cat food. Push bike spare parts – tubes, tyres, pumps, lights, helmets, bike carriers for cars, tool kits, oil, repair kits. If it’s not in Eden, ask and Supply Central will try to get it for you. Provide caravan repairs of all shapes and sizes. Eden Slipway Services Pty Ltd is a family owned and operated business with over 60 years of combined history in the marine industry. We understand that the quality of our workmanship and our high level of care is important to you. Castor oils and GME radios also available. With a combined experience of over 60 years in the travel industry Mary & Lyn can help when you are planning your next holiday. Remember “Without a travel agent you are on your own”. Shop for all your grocery needs at Eden IGA Plus Liquor, operated and owned by Sandeep family. The Curalo Medical Clinic offers a full range of services, and all consultations are made by appointment, except in emergency situations. Phone 6496 3322, to make your appointment. Please let the Receptionists know if you require urgent attention, or if you need additional time for your consultations. Access Medical Centre, a nd as the name implies, we believe that every person should have “access” to quality medicine in a caring, friendly and professional environment, and it has been our ethos since its inception to offer such a service without financial disadvantage to the patient. Situated in the main shopping area in Imlay Street behind the chemist. The practice understands the importance and often complex dynamics of the family unit. Access Medical is striving to meet these diverse needs whilst showing sensitivity and understanding to our indigenous population and ever-growing multi-cultural community. Access Medical offers home visits to its patients as well as a weekend surgery and emergency call-out service. Kothes are here to help you plan, implement and achieve your financial goals both large and small and have been for over 65 years. We work for a wide variety of clients including businesses, companies, individuals, associations and clubs. Services include superannuation and financial planning, family trusts, audits and tax returns. Simply Irresistible stocks affordable ladies fashion for all ages. Toni has a large range that you will surely be able to find something that will suit you. Fashion accessories also available. Southland Fish Supplies unloads approximately 1900 tonnes of fish a year from local and visiting fishing vessels. The professional fish processing team at Southlands fillet approximately 200 tonnes of value added product a year. Visit Southlands Tuesday to Friday between 9:30 and 11:30 am to learn more about modern fish processing and watch the experts at work. Get your fuel at our service station. We also supply a good range camping, fishing gear, kayaks & much much more. Owner Barry Ellis has over 30 years of fishing under his belt and his keen staff are in the same boat. This tackle shop is a hub of fishing knowledge, predictions, banter and well stocked with camping and dive gear too. Drop in and see the huge collection of trophies and memorabilia, including the Australian record for Blue Marlin caught on 24 kilo line. Gear repairs are done on site, overnight if needed. Open 7 days 8am to 5.30pm. Chris Wilson is a long standing real estate agent in Eden who’s motto is ‘Bringing people and property together’. Give him a call if you are interested in moving here. Our oysters are known for being some of the best NSW has to offer. They are renowned as being ‘creamy and sweet with a very mild aftertaste’ which we think reflects the beautiful surroundings in which they are grown. Our oysters are consistent in shape, sizing, texture and colour and take their unique flavour from the pristine waters they grow in. In 2017 and 2018 we have won both Gold and Silver medals at the Sydney Royal Fine Food Show and at the 2018 Far South Coast National Show we took out Champion Sydney Rock Oyster. We developed our own farm Environmental Management System in early 2005 and update it on a regular basis and use only environmentally sensitive products and environmentally friendly farming practices to farm our oysters, we also power our operation with renewable energy. To us, promoting environmental awareness is paramount to securing a bright future for the oyster industry. We continue to invest in modern technology and recently purchased an automatic grading machine to ensure our oysters are consistent in size and shape, recognising our customers individual needs. We are dedicated business owners who pride ourselves on growing quality oysters for people to enjoy. We are very actively involved in promoting oysters and our industry and enjoy engaging with other oyster farmers and our customers. Our oysters are available by visiting us at our oyster shed situated in Myrtle Cove, Wonboyn Lake. We are there most days of the week. Daily service around the South Coast from Eden to Tathra and beyond. Charter service also available. South East Tours and Transfers offers tailored tours for up to 11 passengers. From small group airport transfers to day tours spent exploring the natural beauty of the Sapphire Coast. South East Tours and Transfers are the best transportation choice around. South East Tours and Transfers offers tailored small group tours to cruise ship passengers that arrive into the port of Eden. Contact them before arrival and they will take you for a tour of your choice around the Sapphire Coast. Full service Vet Clinic available in Eden. Get your Tick and Flea treatment here, take your pet in for a grooming or stock up on food and treats. At Eden you will find these delicious Eden Mussels growing in the bay and where you can buy them directly from their boat at the Eden Wharf. Eden Mussels are the only commercial mussel producer in New South Wales, and provide their wonderful shellfish to a number of fish markets and restaurants Australia-wide. Eden Mussels located in Eden on the South Coast of New South Wales, has been operating for more than two decades. The nutrient rich and pristine waters of Twofold Bay are natural spawning grounds and are ideal to grow and harvest the Blue Mussel (Mytilus Galloprovincialis). The standard of Eden Mussels have been acknowledged as a finalist in the Sydney Fish Market Seafood Awards and has set the benchmark for quality produce. Mussels can be purchased fresh straight from the boat ‘Maree Eva’ Monday – Friday on the main wharf of Snug Cove, Eden. Product can be supplied in larger amounts for restaurants and wholesalers. For Local Far South Coast NSW supply please contact Eden Mussels directly. Ben Boyd Service Station is a locally owned and operated business servicing Eden NSW and surrounding areas. At Ben Boyd Service Station, is your Shell fuel stop and they offer all the aspects of mechanical repairs, accessories and services. The staff focus on quality workmanship, personalised service and high customer satisfaction. The staff are professional, experienced and friendly and more than happy to assist you. Call in today! Accepts Coles shopping dockets. Allied Natural Wood Products (ANWE) is Eden’s main employer, both directly and indirectly engaging nearly 400 jobs throughout our region. Exporting both pine and hardwood woodchips from their site on the southern side of Twofold Bay. In the longer term, ANWE sees hardwood and softwood plantation development, new wood processing technology and innovation as the key strategies for the future. They will be actively exploring these new opportunities to develop their business along the far south coast of New South Wales and throughout Eastern Victoria. ANWE is an Australian owned company with a long term commitment to the Eden region. ANWE foresees significant opportunities for business diversification and growth as well as increased economic benefits for the community of Eden. Significant employment opportunities have been created by the forest industry which employs approximately 400 people in the region from Bairnsdale in eastern Victoria to Nowra on the south coast of New South Wales. The employment of full-time staff also strengthens the local community with well over 100 million dollars in direct revenue.